On Saturday, the Herald ran a fascinating piece from Simon Wilson looking at the design of the City Rail Link stations. This was interesting for a few reasons. It gave some great new insight into the design process as well as a couple of new images of the stations. The Herald have largely ignored the CRL up to this point unless it’s a story they can try and generate some outrage over. It’s not just new stations we’re getting but some new station names are proposed too. It’s the proposed station names I want to talk about in this post. Before I do that though, I wanted to highlight one small section in the post about advertising. I was there late last year when the mayor, Phil Goff, visited the ALT studio to get a briefing on the project. He marvelled at it. He called it “a rare opportunity” and said, enthusiastically, “this really makes a statement”. We discussed the lack of advertising, and he approved. “You wouldn’t put advertising on the outside of the art gallery,” he said. What he meant was, it’s not an ad-free zone because it’s art, but because it’s a place to explore and express who we are, and that is done, in part, through art. No ads. In fact, the artwork shows almost no signage at all. One discreet LED service display in one image. It won’t be quite like that. We will still want to know when our train is due to leave. The idea of no advertising feels idealistic and perhaps somewhat naive. The stations may well start out that way but how long before it changes? One just needs to look at what Auckland Transport do at Britomart to see it’s unrealistic. The stairs and the concourse area at the Queen St end of the platforms are often covered in advertising, as to are plenty of other surfaces and there are now giant LED billboards covering the lift shafts. Onto the station names. I find my views on the proposed station names changing as you move from South to North, from complete support to opposition. “The threshold begins,” says the official blurb, “with an open civic space that radiates out from the station.” It’s a community space, a performance space, a forecourt that holds the people in it as if in the palm of a hand. As you enter the building itself you discover a space defined not by its ceiling but by a wall of carved basalt, curved in form, layered with niho taniwha, shimmering with water running down its face. This is the volcano, tamed but never tamed, the curves derived from the cone and the pa terraces on the true volcano above. It’s an immense rolling facade of stone, alive in its sense of movement, like eels writhing, like monsters of the deep. You are in the lair of a taniwha. Karanga-a-hape is a name that has defined this awesome, unique part of Auckland for so long that I’d be surprised if we were to call the station anything else. You cross the threshold. You arrive at the entrance to the station, step inside and find yourself in a great public space. In one of the stations, that means you’ve passed beneath a wall that provides a massive street frontage, symbolising the separation of Rangi and Papa. You’re in a vast vaulted space now, the ceiling an “ascending series of scalloped voids”, as though a giant has taken scoops from the ceiling, each one higher than the last, as you walk further in. All of them are patterned with niho taniwha, the teeth of the taniwha. The acoustics are as in a cathedral. If someone is playing a guitar by the wall over there, the sound will drop down above you in the middle of the concourse. Welcome to Karanga-a-Hape, named for the karanga or call of Hape, who magically raced ahead of the earliest voyagers from Hawai-iki and called them in to land. 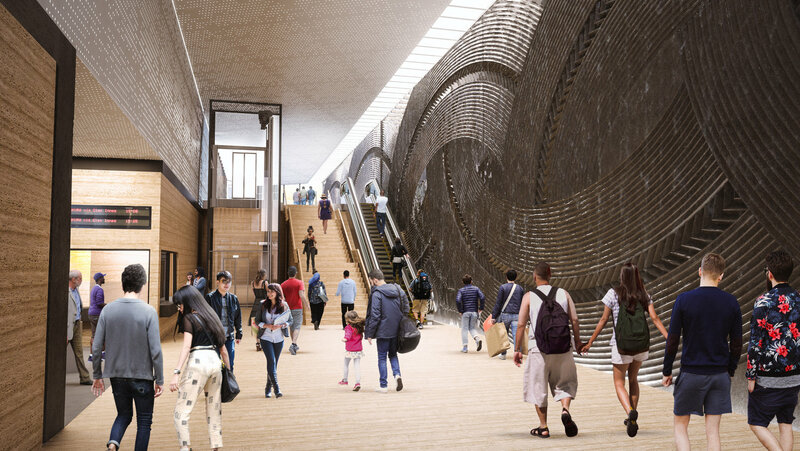 The entrance to Karanga-a-Hape is a hall of sound and light; the station itself will be the third and deepest on Auckland’s new underground rail line. Unfortunately, there’s no news on whether an entrance at Beresford Square will yet be provided in the plans like it should be. Wilson states “What is a railway station? A place to transit through, efficiently, safely, enjoyably”. The Mercury Lane entrance will be none of those things to somebody in a wheel chair or has difficulty walking. The name Aotea has long been given for the proposed station. It has been listed as that on all documents since at least 2010 when the current proposal began, possibly earlier. Aotea may be familiar and easier to pronounce but that’s obviously not a reason it has to keep it for a station that could last centuries. I think that most Aucklanders would consider Aotea to be the fairly narrowly defined part of town consisting of the square and adjoining centre that bears the name. However, Council planning documents such as the City Centre Master Plan break up the city into quarters (below) and the station sits mostly within the Aotea Quarter. But the station also serves other adjacent quarters too which include the two universities and some of the densest employment and housing areas in the country. Perhaps Aotea isn’t the most appropriate name. At the same time, I’m not convinced that Horotiu is the best name for the station. It might be the name that was originally given to the area before Europeans arrived but most people don’t associate it with that now. I get that’s part of the point of doing it but I feel like it shouldn’t be the CRL team deciding this in isolation. It is something that should be reflected through all of council’s planning documents to describe the area. Perhaps one way to think about it is how people will use the name on a daily basis. Is it “I’m catching the train to Horotiu” or “I get off at Horotiu” or will they use something else. I also wonder if the name might be more appropriate for one of the light rail stations that will need to be built in the area. At least it would be more in the valley than Albert St is. Overall I guess overall I’m a bit agnostic about the name Horotiu. It’s certainly a lot better than something dull like Midtown or City Centre. 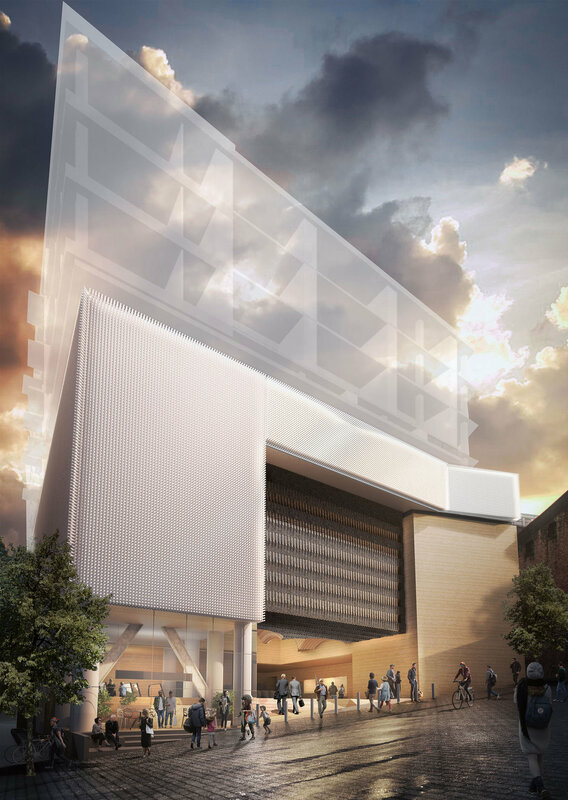 As for the station design, we originally saw this image back in November but Wilson puts some more details around it. In another of the stations, there are multiple entrances but the same attention to the sense of a threshold. A physical sense, not simply of rocking up to catch a train, but of arriving at a place and then of stepping in. 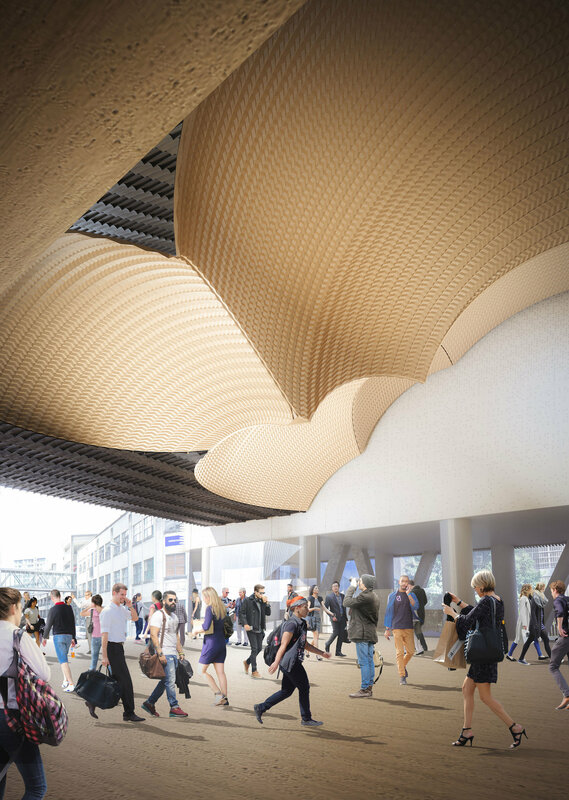 In this other station the ceiling also provides a sculptural form that defines the space, this time, with hundreds of rods, some wooden, hollowed, cut to different lengths so that you’re walking beneath a shimmering, undulating blanket. This is Horotiu, in the heart of the central city, the access point for two universities, the midtown workplaces and the arts and entertainment precinct of Aotea. The light will change, by day appearing as if seen through the raupo in the stream; by night, a constellation of stars – sculptural possibilities in a constant state of renewal. The rods represent the upward growth of crops, and also a great population and an abundance of wealth. Many will be notched, the light on the notches creating a pattern that simulates the flow of water to the sea. There’s a lot going on in that ceiling. Horotiu is the valley. Waihorotiu was the stream that flowed through it, a hunting ground for catching eels and birds: Queen St today. Horotiu is dedicated to Rongo-ma-Tane, god of kumara and cultivated foods. These stations commemorate the life that was lived, the wairua of the place. The tukutuku on the walls, like the rods on the ceiling, represent the stars and also the great wealth of people, those living here in the great cornucopia of the isthmus in days gone by and those living here now. Horotiu, therefore, is a cathedral of light, a celebration of the harmony of people and place, a monument to our better natures. Choosing new names is a part of that process, and it extends to Britomart too. The Creative Studio proposes renaming it Waitemata – the elemental theme of the station is, after all, water. You didn’t know that? Take another look. The silvery colour scheme, the sense of being in a great chamber hollowed out by water, the gleaming smoothness, the invitation to look up, to the light, through the great skylights, lined with silver and light, it’s as if you’re looking up through water to the air beyond. I get that the station is located on land reclaimed from the harbour and its watery design but at the same time the station acts a bit more like a boat, holding the water out. And that’s quite appropriate given the history of the name. The station was named after Point Britomart, a prominent headland next to the fledgling city that was later quarried to provide fill for the reclamation that the station now serves and allow the rail line to be built. The name for the headland comes from a British ship that surveyed the harbour. Our colonial history is not always great but I’m not sure we should be so quick throw this piece of it out. Even if we were to do so, is Waitemata really the best name? Stations are about serving a specific area but Waitemata is also the name given to the entire harbour whereas Britomart is now a specific location on that harbour, served by that station. Even more so than Horotiu, saying “I’m travelling to Waitemata” could mean going anywhere. As well as the harbour, it’s also the name of the local board, one of Auckland’s health boards and a range of other organisations. It’s certainly not a name that’s been forgotten. 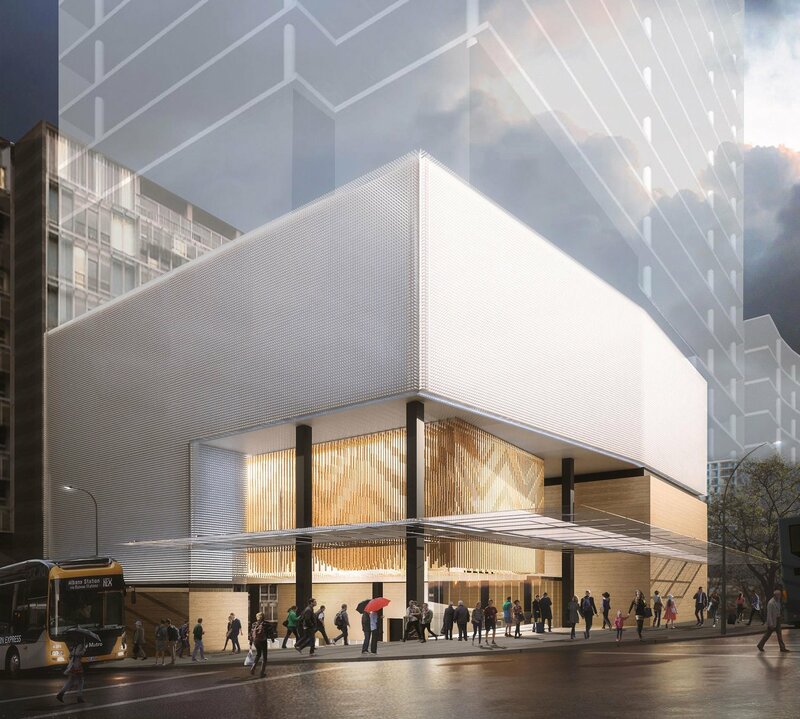 In the article, one of the people behind the CRL designs, Rau Hoskins, is quoted as saying “We wanted stories that bring us together”. Why can’t Britomart could be part of one of those stories. It’s the ship anchored in the harbour at the foot of the city. What do you think of the proposed station names and the new images? Britomart should stay. Aotea should stay (that’s enough nod to Maori anyway). The others are ok. Horotiu is a place in Hamilton and I’ve never ever heard it used to describe the city centre. This is the kind of BS that pisses people off. Seriously how many tens of thousands of $$ were wasted on consultants to come up with this? How about calling one of the stations Gravy, as paying comsultants money for this rubbish is a gravy train alright. I snorted at work like a pig when I read this. The number of consulting cheques getting written to old white guys in architecture firms would boggle the mind. I agree, keep Britomart and Aotea, though I like the other proposed names. The reason to keep Britomart: It’s a known place, already in use as a transit point and destination. The reason to keep Aotea: It’s a known place, already in use as a destination. Changing it’s name to reflect what it _should_ have been called originally (in my opinion) may or may not right any perceived wrongs, but _will_ confused people – Particularly those who don’t often use PT, or visit that part of the city. Exactly. Horotiu is famous for a really disgusting smell as you drive past the AFFCO Horotiu freezing works. I think it was the rendering plant that caused most of the stink. Horotiu now mean strikes, pollution and stink, not to mention the slaughter of hundreds of thousands of peaceful animals. Waitemata fails the history test. It was the harbour and the name of the County that formed Waitakere and Takapuna City Councils, neither of which are anywhere near here. The old Waitemata County office is still standing at 68 Greys Avenue where it is now apartments with most of the blue asbestos removed. By the way the name Waitemata is still extant as the name of our District Health Board, so don’t even think about stealing it for your station. Horotiu is the name of the river there – it is a waterway of particular cultural significance too. I find it disappointing that people assume that because they personally have not heard the name used to refer to the area, that this means that nobody else uses it. I can assure you that the name is known well by those that have whakapapa ties to the area, and I would hazard a guess that they also have a strong desire to bring this name, this waterway, and its cultural significance into wider circulation – probably so comments like the ones above are not able to be made in the future. I’m also concerned that some consider any Māori name to be “good enough” or “a nod” (i.e. Aotea). The real questions are around if it is the “right” name, or if the name is being used appropriately? This goes for any name in any language. And as for those that say Horotiu is is Hamilton, not Auckland. Are you trying to say that there are no English placenames that do not exist in multiple places? That is a ridiculous argument! Generally agree with you. I get the concept of embarrassment that we came and took the Maori land and just left them owning a small fraction of the country and that the least productive. Returning places to their original names does make some kind of sense but in moderation but it is becoming a ill considered instinctive reaction. BTW I like ‘Midtown’ – easy to pronounce; descriptive; good for tourists. If I meet a Maori who has been calling that bit of town ‘Horotiu’ on a daily basis then I’ll concede. “We came and took the land off Maori?? ?” Good grief Bob. Maybe i’m a generation younger, but as a native white NZer please don’t include me in your “we”. I love Maori art, language and culture because it’s part of my heritage, whether i’m white or not. Never took anyone’s land, and I don’t “get the concept” at all. Re names, I don’t mind the Waitemata name because it’s the central hub station that is central to the Waitemata area. Horotiu is bizarre though, i really don’t see the point when I has no current connection to anything local. It would be a long walk from the Waitamata Station to the Waitemata Rugby Club. Bob, how old are you??? I doubt it very much that you took anyone’s land, but if you have, then perhaps you should give it back. I think the station names should be rather descriptive rather than anything else. For example, “I am going to Midtown therefore get off at Midtown”. Simple names make it easier to use and will encourage people to use. Well Adrian, I have my gold card. The problem is the Maori names are descriptive also, just because you don’t understand doesn’t make any less applicable for the area that you would be getting off at. Maori is an offical language of Aotearoa/New Zealand and as such we should be making more use of it and not just paying lip service to it. Yes Maori is an official language on New Zealand, but Aoteroa/New Zealand is not an official name. Consistency please. While is is getting off subject I for one would be proud to have NewZealand revert back to its traditional name of Aotearoa. While I’m at it, did you know that Australia was renamed New Holland, but later became called Australia. Are you sure that the name “aotearoa” existed before the 1960’s? It’s not about the name been Maori or English or otherwise. So whatever is the name of the area will be descriptive – be it English, Maori, or a number of NZ places Hindi or Pashtun. Robert Dew – in all probability the “traditional” name for New Zealand is New Zealand so to change to Aotearoa would not be reverting but simply a change. Bob just means some of our ancestors came and stole land and we collectively as a nation are now benefiting from that theft so now to make us feel better we rename stuff after the culture we destroyed. John, you may not want to be included in that group, but even if you came off the plane yesterday, you are still part of that ‘we’ and you are still benefiting from that theft. Ari, then you have to argue that modern Maori benefitted from that theft too, since we’re all born natives of the same country and are products of a shared history. I just hate to think we give Maori names to places in an eye-rolling, cringing effort to placate (which I think is an outdated and irrelevant attitude to young NZers), rather than because it’s a super important part of our heritage that we all share and cherish. John, no I don’t have to argue that because it isn’t true. The Maori had most of their land stolen through legal means or otherwise. They lost their land, their language and their culture. They survived, but they have never recovered. You call that a benefit? The destruction wrought by some British folk long ago echo through every generation since then. By and large the Maori population have been excluded from society and excluded from getting any benefit and we can see that in almost every developmental stat you care to look at. If you measure what they lost vs what they gain from living on the fringe of modern NZ, the loss is staggering. Unfortunately, I think we are renaming place names to assuage our guilt and to placate some folks. I suppose it is better than nothing. All Maori have European heritage too, usually British and usually more than actual Maori heritage. You need to be more honest about the state of Maoris in NZ before the British began arriving. How about live in a pre-European Maori Pa without any modern amenities and see how much you like it. You are trying to compare what was considered the norm by pre-European Maori to what you a modern New Zealand would now accept. There is no way to compare the two concepts. And that is part of the problem, we talk in terms of having rescued Maori from their primitive ways, when in fact pre-European Maori were very happy with their way of live. Good on you Ari. That’s how it is. We’re also renaming places because we learn a little history or culture in the process, and that’s interesting. Jeez Ari. Maori were rolled, bowled and a-holed by foreigners for a long, long time, and it was absolutely horrendous, there’s no question about it. But “feeling less guilty” is just a crap reason to support giving something a Maori name. Embracing Maoridom as a culture, a history and a language means it can be integral to everything we have, because its entrenched in our heritage. It shouldn’t be a token gesture/ window dressing exercise that gets whipped out when something needs a name to make “us” feel better about “them”. That’s the bit that gets on my wick, as it demeans the genuine efforts made to integrate us all. Like… the efforts made by many people in recent times to pronounce Maori names properly is great.. That’s genuine progress. But calling a station Mong-A-Fow while cringing through guilt… if that’s better than nothing, then its only JUST better than nothing. I dunno, John. I know elderly pakeha who feel sad, angry or guilty when they remember the punishments their Maori schoolfriends received for speaking Maori at school, and when they think about how that treatment affected their friends’ opportunities in life. Are these emotions not valid? Emotions can be a useful trigger to change behaviour. I imagine plenty of these older citizens won’t fully embrace Maori culture, but I do know some who want to support moves to increase Maori language opportunities (and I believe this includes place names that lead you to wonder about the history of the area). Is this support not valid because there might be some guilt about standing by and not speaking up? Well Bob was just putting a rough sentence together trying to get some balance into naming. My family history goes back to 1830 and we are a solid railway family – no politicians, no military, nobody overseas and in 1830/1840 not even a vote. So I don’t feel personally guilty but if I was Maori I would be aggravated (I still remember as a child be aggravated by the French invading and taking our land and changing our language and that was 952 years ago). The rest of my NZ resident family are Melanesian and 98% of their land is still held by tradition ownership (which isn’t much use since 80% of them are females from patriarchal tribes). Names can be assigned but you can’t force people to use them – I read somewhere the inhabitants of Mumbai still call it Bombay and I have heard K’Road said a thousand times for each time it has been pronounced or miss-pronounced in full. I still tell anyone who needs to know I live in North Shore and letters addressed to North Shore do arrive. The only place name I would fight to keep is the road in London that was originally “Route De Roi” so maybe I’m still anti-French. Where Maori’s have a genuine tradition then lets give way to it but it seems our council often uses Maori names out of some kind of cultural cringe. Could all be far worse – years ago I came across a ‘Len Brown playground’; at least nobody wants to name them after our current politicians. I think it was near Otara market – about 6 years ago – couldn’t find it on Google this morning nor on Google maps just now but I think I trust my memory although most thinks go blank when I cross the bridge – certainly I was killing time while the family shopped. You do know the current name for the regal “Route de Roi”? I do now. I love the way some of those French names were corrupted. Karangahape, as that’s how the road is spelt. Who wants to pronounce another A? In general I like the idea of using Maori names for the stations. However, given that Britomart is a name that is given to the whole area and is well recognised and given the history of the name I believe that changing it would be a mistake. Must say I’m in two minds as far as Aotea / Horotiu is concerned. Given it’s proximity to the Aotea centre there is a good argument for naming it Aotea, but on the other hand sitting on the side of Horotiu and in close proximity to the, now undergrounded, Waihorotiu stream the name makes good sense. Karanga-a-Hape will most likely end up being pronounced Karangahape, but I like the name and renaming Mt Eden Managwhau to me makes a lot of sense. We should be celebrating our Maori history and language especially given how we have suspended and hidden it for so long, it is nice to see it finally coming to the fore, and if the names are hard for us older people to pronounce, that is because we ignore the language and culture of the Maori, but the younger and future generations all appreciate the language and as such we should be appreciating it. I like Horotui, but Britomart should be Britomart. It’s really the center of where this all kicked off (the recreation of Auckland). All the other names would give value and a sense of place that makes Auckland different to other cities around the world. Maori is our point of difference and we should celebrate it. Re no advertising, I like it, however I think it is short sighted and a money hungry council will revert to cash flow when things get tight. What worries me more is there are no cafes/coffee stores and convience stores in these pictures not only are they good for revenue but they give the place a feeling of usefulness and purpose. Britomart would be a very empty station without the retail and cafes. Take note. Nobody in in the original post or the comments to date has spelled Maungawhau correctly and that is one thing that is what is wrong with the name. Furthermore the name Mt Eden is shorter and shorter names usually allow a larger type size in the same space and are therefore easier to read especially from a distance. Maungawhau is of course, an alternative name for the Mountain itself but not for the suburb which that train station will serve. And the fact that the station is not adjacent to Mt Eden village is not material. We already have Remuera Station miles away from Remuera Village and nobody is suggesting renaming that. The proposed renamings are in my view, Mythical Symbolism to Excess! Actually, Remuera station was renamed Remuera from the original Market Road Station. I guess it’s on the edge of Remuera. I wonder why? Market Road is both more descriptive of the location and sounds much cooler (like some kind of London station name). Remuera is the name of the nearby Maunga that you see from the platform. It is a description of place. Should probably be renamed Remuwera, as per the original spelling. Changed, I’ve been told, because it was too “Maori”. Remuwera has a much nicer feel to it. If people are having trouble with Horotiu because of its connection to the freezing works, then why not look at Waihorotiu in honour of the now underground stream which would be a very fitting concept. That’s what I think. There’s an image there I like, of the train being a moving stream of people… and it would keep alive the word so that one day we might show some respect to the stream. Both words will be hard to pronounce, because many people find the “o” difficult. Somehow the “Wai” leads you into the word better though. Funny enough, whilst I dislike the name Horotiu (though not because of the freezing works) I _do_ like Waihorotiu. Yeah Waihorotiu is nice. I think it’s perfect for one of the Queen St LRT stations which will sit on top of the original stream. The article in the Herald about the CRL project was certainly an eye-opener in terms of how much frivilous fluff is put into these projects, particularly the nonsense with proposing to change the station names. All of this just adds unnecessary expense to projects like this. It would be interesting to find out how much this adds to the cost of the project. Particularly offended where they mention the decision early on ‘not to focus on the colonial history’. Why does all the focus have to be only on Maori history? Any decision on changing any of the station names will have to be approved by the NZ Georgraphic Board, and going by history with the naming of Grafton station, they will likely not approve these proposed new PC names. I pity the person who buys a ticket to Horotiu and finds they go all the way down the main truck line to Hamilton’s one time meatworks. As Miffy says completely the wrong connotation for central Auckland. It is entirely acceptable to have mythical symbolising in the art and design of these stations but the proposed renaming has not been well thought out – is definitely not smart thinking at all. Probably just as confusing as Aotea being a place near Kawhia, and also Wellington..? Great come back! I doubt that anyone will go to the wrong Horotiu considering there is no train station at the southern one. If Hamilton ever got a suburban rail service you could bet that Horotiu would be the stop between Ngaruawahia and Te Rapa. CRL is so big in its construction and in its effects that it deserves to rename the whole experience of travel in Auckland. It also matches the whole of turning Auckland’s CBD towards the waterfront, which is what Auckland Council have been doing for over 15 years. I never warmed to “Britomart” as a name, and I don’t recall anyone being asked about it either. All I recall is being grateful that the old crime-ridden hole of the bus station was demolished and Cooper and Co had the determination to revitalise it. So let Coopers keep Britomart the name. It’s time to integrate Auckland back to the sea to which it belongs. I agree, Aotea and Britomart should stay for the reasons suggested. I can’t even pronounce Horotiu. I don’t personally have anything against the name, other than the matter of practicality. It will get mangled and become “Horror Too” or “Horror Station” or “H Station”. Just like K Rd. I laughed because as Warren mentioned, Maungawhau wasn’t spelled right. Transit stations should be named after the place they are in, first and foremost. If you call them something else you are effectively proposing to change the name of the neighbourhood to suit the station. That’s ok, but you need to be sure the name will work and ‘stick’. If not you are left with an oddly named station that confusingly bears no relation to the area it serves. Britomart was a good example of the latter, the station was the cornerstone of creating the neighbourhood of Britomart and the identity for the area formally known only by the descriptor of ‘downtown’. Britomart as a station, place and name has stuck. I wouldn’t support changing it for the indistinct Waitemata. I agree with Maungawhau as a replacement for Mt Eden, largely because the station isn’t in the suburb of Mt Eden and doesn’t really service Mt Eden. If anything the station should be called Eden Terrace. But if we want to create an area known as Maugawhau then fine, I think it will stick. And yes I do realise Maugawhau and Mt Eden mean the same thing, but they needn’t in the future. Maungawhau to the north, Mt Eden to the south. Horotiu I’m not sure, not convinced it would stick as the name for the middle of the CBD. Aotea works for that, but I’m not sure if it is actually meaningful for the area. I have no problem changing the name of the station or the area, they just have to get it right so it sticks. Recall the attempt by the old WCC to change the name of Henderson to Waitakere Central. A confusing, bad idea given henderson was not either of two things already called Waitakere: the village of Waitakere a few miles up the road, nor the Waitakere ranges beyond it. That name change was ill conceived and didn’t stick. “And yes I do realise Maugawhau and Mt Eden mean the same thing, but they needn’t in the future. Maungawhau to the north, Mt Eden to the south”. Like how one side of Owairaka-MtAlbert is Owairaka and the other side is Mt Albert. The practical side of me thinks it would make more sense to go with names people already know and that tourists can pronounce. To be fair though I don’t think I’d ever called downtown ‘Britomart’ until they named the station that. Nobody did. Get it right and it works, but the risk is getting it wrong. I think Aotea should stay, partly because we are JAFAs and being confused with something Hamiltronish is an absolutely ghastly thought (not to mention that the associated deity has obviously moved to Dargaville because there isn’t much Kumara growing around there), and partly because at least for me Aotea is a significant geographical beacon, and despite a reasonable ability to relearn things, midtown has always been a crap description of that area. Britomart is an awful name, overtly colonial and for generally associated with short sighted politicians who built a dead end train stration from which we are now tunneling. It deserves a rebrand and Waitemata is perfect, with its cultural significance and proximity to the harbour. Karangahape is obvious, I susepct most of us will end up saying we are going to the K, but it should have a full name out of respect again for its origin. Maungawhau is an appropriate name, and the station is more or less adjacent to the maunga. In recognition of the modern movement towards recognising Māori as the tangata whenua and embracing this beautiful culture, naming needs to pay heed. But not at the price of confusing Tāmaki Makarua with Kirikiriroa, koa! Completely agree with all you’ve said here – these schematics are exciting indeed and Simon does an amazing job of enthusing readers. As for Horotiu, I always knew it as a freezing works near Hamilton (as Horo-too). But these things can be overlaid in time. Karanga-a-hape… time to change the name of the street too? Yep, a Beresford entrance is a great idea if that precinct becomes more than just feeders onto Spaghetti Junction, which it should, with Hopetoun Alpha and the St Johns Ambulance zone. So here’s another idea – how about undergrounding the motorway on- and off-ramps to reclaim Union St, all the way down to the Victoria Quarter? How about rename Britomart to Wharfside? But doesn’t it imply the station is in Mt Eden? Isn’t Eden Terrace a better name? Or maybe even Newton? Isn’t Newton the next area to the north? My view as a long time local is that the station is in Eden Terrace, up the hill towards town is Newton, and back the other way by the mountain itself is Mt Eden. When I lived near the Horse and Trap, I said Eden Terrace. However this is a problem, there are no official suburb definitions in Auckland, only conventions of use. Yes, intending visitors would thereby easily know to get off the train there. That’s just you. And that’s not if you’re just saying that. The gifted Lawrence Eagleburger who served as the Secretary of State under President George H. W. Bush had three sons and named them all ‘Laurence Eagleburger’. When asked why he said ‘to screw the system’. So I propose Britomart as “Goff-City” and each station from there being named the same with just a numeric suffix to prevent confusion (already I am confused so make that “Goff-City Ground Zero”). Why not call all the stations Aladeen? That would be yet more British colonialism, wouldn’t it? Better to honour John Clarke by calling them all Trev. *Aotea Square ( I know it’s not actually going to be at the square, but still). That’s what everyone already knows these places as. I like the overall layout of the stations, looks like they’ve learned lessons form overseas. But I don’t understand why there’s all this Polynesian styling everywhere. I know some people might jump on me and call me “racist” for thinking this (although I’m not at all). But to me this all looks like cheap tokenism. Auckland’s background & heritage is mostly European (and mostly British) an it’s also home to large numbers of other ethnicities, especially Han Chinese. So why on earth style the stations to one minority? Because that minority was the first group of humans to arrive here and therefore the people who named everything?! If they “named everything” then why has everyone been saying Mt Eden for all these years? I’m sorry but that is a bunk argument. If this “first group of humans to arrive here” named Mt Eden something else; at some stage its name got changed and almost everybody now uses that name. Sorry Daniel, you’re out of step here. This is Anglocentric colonialist stuff that died in the 1960s. Apart from Don Brash, who’s still vaguely with us. That’s funny I thought we were taking about Auckland NZ? Not sure where that one came out from. How about someone conduct a public poll across Auckland and see what most Aucklanders in the year 2018 think the stations should be called? Because a bunch of Europeans arrived here and started naming places by names they knew and couldn’t be bothered learning what the original inhabitants had called them. And yet the descendants of these “original inhabitants” also adopted the new names. So moot point. End of discussion. Because nothing would have stopped them from deciding to use the old names. I’m only commenting because Daniel Eyre thinks he gets to decide when it the “end of discussion”. Ooh, look! The discussion continues in spite of you. Yet again, Daniel, you’re miles out of step with the rest of us. In this case decades. Don’t kid yourself that Maori adopted foreign names and practices by choice, and most importantly don’t try and kid the rest of us. You’re not saying what everyone else is thinking. The sign out front says Maungawhau?? The sign on the mountain says Maungawhau. It doesn’t say Mount Eden. Oh lovely. Clearly it doesn’t work because everyone calls it Mt Eden so they should probably change it to display what everyone actually calls it. “Everyone”? Um, things have changed. For my generation, it was when we realised we’d grown up saying Mt Egmont, and the nob descendent of the Egmont it was (re)named after was interviewed. Completely arrogant tosspot. So many of my friends just made the switch to Taranaki right then, and adopt Maori placenames with enthusiasm. I have lots of friends who say they live in Maungawhau. Heidi, Egmont was a bit easier considering the region has been known and called Taranaki for a long time so everyone was already used to using it. I’ve never heard or seen a single person use Maungawhau until today in this blog. I know these days it is cute to add the Maori name to things – so be it. But it shouldn’t be replacing something that is well known. It is a popular tourist attraction – good luck to them pronouncing it! The electorate is also called Maungawhau and has been for ages. Council and local board material uses the name Maungawhau frequently. Blinkers off, chaps! Perhaps to be authentic we should give all the stations Maori names but not have any signs as they didn’t have a written language so they couldn’t spell. The map wouldn’t have any station names and there wouldn’t be one on the front of the train either. The Mexico City Metro has pictographs for the illiterate: I propose a [sparkling waters] for Britomart, a [taniwha] for Aotea, and [a man in high heels] for K’ Rd. That effects railway station names does it? Let’s see; Aotea is a Maori word and Karangahape is a Maori word, so that’s 2/3 of the naming in te reo. That last comment says all we need to know, really. Or that “our history is British”. And what kind of person throws in “end of discussion” into a thread half way through, other than a 10yr old? Someone says end of discussion when someone repeats a point that is already refuted. And where did anyone claim that “our history is British”? Someone says “end of discussion” when they have thrown their toys out of the pram. Yeah I said background & heritage. I did not say anything about history. Thanks for the laughs with this “throwing toys out of pram”. No surprises that honesty is not your thing. Nor actually sticking to the topic. Or can’t you salvage that? Because Auckland is the largest polynesian city in the world? Because Maori are the largest minority in Auckland? Because Auckland wants to showcase something different? Because Auckland doesn’t want to be some boring copy of some bland English town? It isn’t really tokenism if council is trying to promote Maori culture in everything it does. Of course, not long now until Chinese become the largest minority in Auckland. too late pretty sure they already are. They made up 8.3% in the 2013 census vs 10.7% for Maori. Since then the National government has let in roughly 10,000 pa which would be enough to let them pass the number of Maori most likely. Many Maori have also been leaving Auckland to avoid the high prices and rents caused by that level of immigration. At current rates Chinese will be the largest individual ethnic group in Auckland in around 63 years while Asians in general will be the largest group in about 21 years surpassing European NZers. Tell us what you really think about Maori culture…. Exactly where did this fear of becoming “a copy of some crappy English town” come from? It’s like me claiming that this tokenism is trying to turn Auckland into a copy of some crappy Maori pa.
And erm actually promoting Maori culture in everything it does is by definition tokenism. It’s not what the Auckland council is supposed to do. But hey thanks for admitting that Maori are a minority. Too bad you used it as a justification for this. How about explicit why there should be any culturally themed aesthetics to this station let alone from what you’ve conceded is a minority. most of us dispensed with your tired trope a long time ago Dan, we are building a new future, and one based on integrity and authenticity, head counts and point scores are irrelevant. A lovely poem Patrick, and I understand the sentiment but I am not sure of its relevance in a proper rational name selection process. In present usage Britomart and Aotea are place specific. That is their big advantage. Waitemata and Horotiu are definitely not. I thought that in the main, it was only communist countries that had a penchant for renaming their cities etc. when one dictatorship was supplanted by another. With luck they then go back to the old one after a few years. The important new future is, of course, the development of Auckland’s rapid transit, of which the CRL is part and in this regard superb station design and future capacity is of paramount importance. The fervent need for a wholesale renaming of stations as outlined by Simon Wilson is really a bit of unnecessary fluff. I never said anything about a Maori Pa. What has that got to do with it? You do realise that culture and architecture evolves right? You may want to check your dictionary on the definition of tokenism. If it were tokenism, council wouldn’t consult with iwi and just ignore them, and just keep giving meeting rooms Maori names. Are you saying that Auckland Council as local government shouldn’t be upholding the principles of the TOW? Because that is exactly what the government should be doing. It is a legal contract that needs to be upheld. Maori are a minority, but the are equal partners in a legal contract with rights that need to be protected and past grievances that need to be addressed. We can’t give stolen land back, but at least we can acknowledge the heritage we as a collective destroyed. BTW, I’m not Maori, I just want this country to grow up and move forward instead of just complaining about righting wrongs and wanting to go backwards. The irony is Aotea is, apparently, complete tokenism. I hear it was cooked up by white staff decades ago without Maori input at all, and bearing no relevance to the place or its history. It’s only established because it’s been around for a while. Maungawhau I think is fine especially given it’s current station function will change apart from the longer name being more combersome. Not so apposed to Waitemata giving more the water idea to it. Definitely against Aotea renaming as just love that name and nice and short. I’m up and down with these names. I’d be keen to have Aotea and Britomart. Those are place names everyone in Auckland knows. I can imagine Karang-a-hape everyone will still call it K’Road station. Makes me thinks a bit about how they gave all the on ramps and off ramps numbers and no one ever refers to them using them, it’s still just the road names. Ha ha… I suppose they thought people wouldn’t be spending enough time on the ramps to bother with names. Now we know better, I think we should be renaming them all. Let’s give the job to Daniel Eyre to research the history, I mean “background and heritage” of each area and come up with some ramp names. At the cost of $100000 per name probably. Jesus wept, it never fails – any post on this blog which promotes the indigenous culture of this land and this city brings them all running out of the woodwork. Pro tip: saying “I’m not racist” isn’t a get out of jail free card for comments which are, at the very best, colonialist bigotry.. I think the only thing that never fails is the resort to ad-hominem whenever anyone questions this cringey tokenism. I propose three station names, two of which are in te reo anyway. I also think that the aesthetics of these stations should be culture neutral. I would think that he bigot here is only you. Aw I’m crushed about what you think. Suit yourself KLK. Daphne is a well know SJW on this blog never failing to let anything sensible pass by without cutting it down. Daphne is well known for fighting for social justice? What a lovely thing to be known for. SJW is a sarcastic term used to describe someone who thinks they are self-important and that everyone else should subscribe to their perverse view of the world and how it should be in a way that is typically open to ridicule. It typically has very little to do with actual social justice. Oh, so you just used it incorrectly, then. Culture neutral? Why should these particular stations be culture neutral. Do you find the several hundred other railway stations throughout the country insufficiently culture neutral? Papatoetoe too Maori for you? Dunedin too Scottish? Seems more like an over the top kneejerk reaction to anything that does sit squarely in the narrow notch of your comfort zone. I still think the basalt wall looks like smeared excrement. Perhaps it is just the artists image that makes it look brownish. But the picture looks too much like what those Irish terrorists did to the walls of their cells in The Maze prison during the dirty protest. The funny thing is: I quite like the wood carving. I just don’t think it’s a wiser choice for a public utility. Not only because it will probably get vandalised but because I think it is not appropriate. Doesn’t look anything like the excremented H block walls, IMO. I’d much prefer a nice relief of a working steam engine scene, smoke and steam evoking power and energy. All in keeping with railway theme. This is from the film Hunger (2008) https://filmgrab.files.wordpress.com/2010/11/22-dirty-circle.png . Steve McQueen was an artist before becoming a film director. This could be taken as a compliment. Usability for residents and visitors should trump ideology. For that reason i’d keep Aotea, and Waitemata makes no sense – if Britomart has to go, call it Downtown. Also, what happened to separation of religion and state? We are dedicating stations to Gods now? Britomart: a Greek nymph. Doesn’t sound so bad… Surely, dead gods are fair game? Sounds more like an animist cathedral than railway station. Britomart was named after an area, that was named after a ship. …that was named after a Greek goddess. Separation achieved. It’s named after HMS Britomart. Actually it’s named after Point Britomart, which used to be where Britomart is until it got quarried away to make the Quays. The point was named after HMS Britomart, the first ship to survey the harbour. Okay I stand corrected but it was not named after a Bronze Age Hellenic god. Well to be really pedantic the station was named after a street (Britomart Place), which was named after a fort (Fort Britomart), which was named after a landmark (Point Britomart), which was named after a ship (HMS Britomart)… which was named after a bronze age Hellenic god (Britomartis). D = Mt Eden emphasising the ‘D’ in ‘EDen” (or perhaps for “Domain”, can’t really think of something clever for this). Another reason to change Mt Eden is the confusion with Eden Park Stadium actually near the Kingsland Station…visitors must be so confused here. Yes, I hadn’t thought about Eden Park, but renaming Mt Eden Station to Maungawhau would be a huge help to many people. Let’s not forget that the area of shops, offices, restaurants, plazas, farmers markets, etc. around and directly over the Britomart Station is now well-established under the name Britomart and renowned in its own right: http://britomart.org/about/#. Waitemata (should it have a macron on the last ‘a’?) 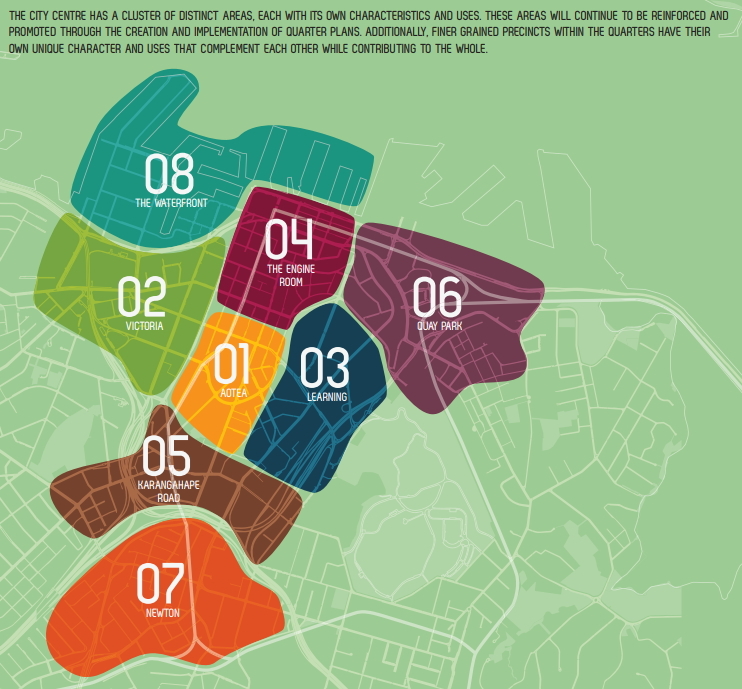 is currently used for wider areas; Britomart is more specific. I get that the station is by the harbour, but so are Orakei and Meadowbank stations. And Onehunga station is on the Manukau harbour. And Manukau station is not on the Manukau harbour. Likewise I think the station name Aotea would relate to the local landmarks of Aotea Square and the Aotea Centre but I’m not aware of any specific place near the station called Horotiu. Changing those two names would remove or confuse established geographical/way-finding linkages and would likely require investment and time to achieve the same level of utility in that regard. So, to my mind there would have to be a reasonably strong rationale and benefits for using the alternative names, to make up for that loss. There may be, but it would be good to hear it all spelled out, to know that this had been considered and weighed up. (For a similar reason changing the name of Mt Eden station could be a good thing in breaking the association with the village centre…if that’s deemed desirable). The entire confusion resulting from these tokenist renaming is what’s most concerning for me. The three station names I suggested is just what seems obvious and common sense. Britomart is too well known to change. I’m all for using Maori names but not for everything. Karanga-a-hape, again a lovely name. People will still call it K Road and that’s fine. Maungawhau – It is is NOT in any sense Mt. Eden as most people understand it. It’s much closer to Newton. From a tourist point of view, those names could be hard to remember and gets confusing as the station name does not correlate with the area/suburb name. That would be far too sensible. I have to call you out on this one… By tourist, do you mean domestic or international tourist? If domestic, tough. Maori place names are part of our culture that you see in every town and city. If international, tough. Maori place names are part of our culture. We don’t expect you to pronounce them correctly, just like we hope that you wouldn’t expect us to pronounce Chinese station names correctly (getting the tonality right is harder in practice than theory). In either case, nobody expects a tourist to know every station and it’s geographical relationship to the others. Also, Maori is quite a forgiving language in terms of mispronunciation – You can truly mangle most words and people will still understand what you’re trying to say. All you need to know is roughly where you want to go. Funny enough, Maori is quite easy for Japanese speakers to get the pronunciation close. Or so I’ve heard. Yeah I was going to make the comment about Japanese earlier on when someone was commenting on how it would be difficult for tourists to pronounce Maungawhau. You are correct the pronunciation of the two languages is indeed similar. Infact many languages, unlike English, are phonetic (written how they sound) so given Maori is mostly phonetic too, many from Non Anglo countries would likely not find pronouncing Te Reo names that difficult, and even easier than pronouncing some non-phonetic English place names. I go for Britomart, Aotea, Karanga-a-Hape (as someone from Whanganui, ffs let’s get the spelling of Te Reo names right! Who cares if everyone calls it K Road in the vernacular), and Maungawhau, the last a fitting tribute to one of Auckland/Tamaki Makaurau most well known landmarks. I would suggest changing Britomart to Commercial Bay, to reflect the area on the 1841 map, and the precinct being built there. Britomart is the area to the east of it. Not a bad option, makes sense. Effective communication to public transport users is paramount, not this revisionist name changing proposal which unreasonably advocates longer names in each instance. I think once a big important station is already named, changing its name is not a good idea. Now that’s a good, sensible comment. Commercial Bay would tie it in with the new shopping centre and tower block being build over the twin tunnels leading in to the CRL. But wasn’t Commercial Bay the area around Beach Rd. The far end of Beach Road was Mechanic’s Bay and the near end was under Point Britomart. Britomart should definitely stay. It’s an established brand and trying to change will only serve to confuse people. I think Aotea is a more commonly used description of the area than Horotiu (and I’ve got strong bad memories of that name driving past the old smelly meatworks in the Waikato township of the same name). The other two sound good. I think most people will just call the station “K’Rd”, but the official name sounds cool. This will all be up for public debate in due course – the NZ geographic board has jurisdiction over railway station names and invite public submissions. It was the same with the relocation of Boston Road Station to Grafton a few years ago. Remuera station is not a good name, You want to go to Remuera? Get off at Greenlane station. Hell of a walk going from Parnell Library to Newmarket to Remuera (Library) and then all the way back to the “obviously closest” station. Aotea seems to accurately describe the location of the station, which is the important bit not the general area it serves. As you can tell by the above real life experience sometimes these things are in conflict; when they are that’s when you go with the name of the site. Pukekohe and Papakura stations are a bit to the side of their respective areas but they’re not “city” stops. Now, people can learn to go to places with apparently random names (e.g. Britomart) but geographically misleading names are an issue. 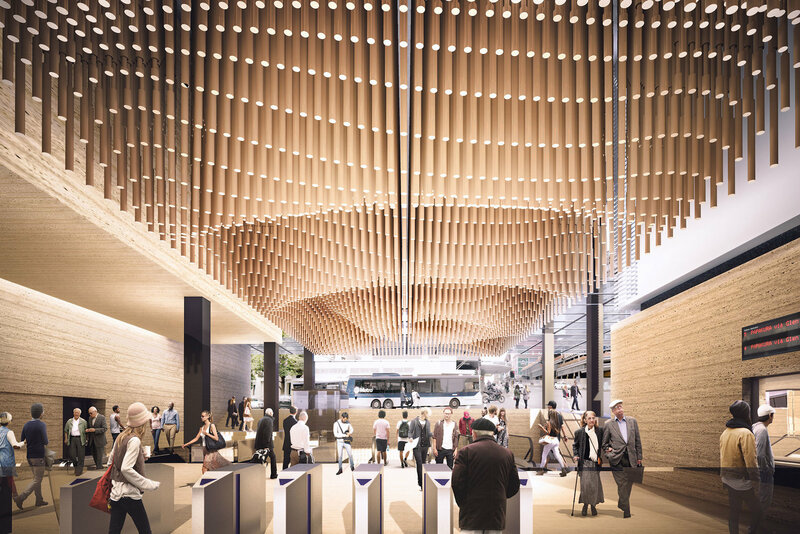 Britomart’s name isn’t in need of changing, it’s literally spending money for no good reason. You want to make a change… have a problem that the change will fix. Mt Eden… I have neither used the station nor developed any need to learn anything about it. If you’re telling me it’s another example of Remuera Station, by all means choose a geographically informative name or an apparently random one (let’s call it Maui or Endeavour or Microwave Station). Spelling difficulty will follow from example, i.e. once people get used to seeing it spelt the right way they’ll get better at spelling it, so even difficult to spell names are fine. Variant/original spellings which don’t induce geographical confusion are obviously sensible. Waitemata can refer to pretty much anywhere in Auckland so I don’t think that’s a good option. I already found it confusing that it’s the local board area covering the central city and the DHB area covering the North Shore and West Auckland. 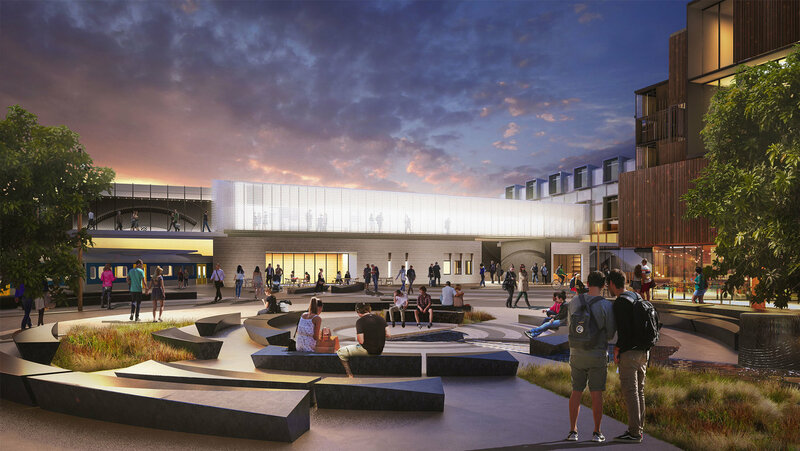 “”Formerly referred to as the Le Roy’s Lookout project, Kaimataara ò Wai Manawa is one of the most significant projects in a set of projects to deliver an improved and more attractive Birkenhead Town Centre. 41 Birkenhead Ave, Birkenhead, Auckland” so Google thinks it needs a prefix in English too. Since Birkenhead is a place of high diversity and mainly recent immigrants (such as myself) a short easy to pronounce single Maori word would be great – something meaning just ‘look’ would be fine. If needing to avoid confusion with other lookouts in other suburbs then just add the location as a prefix. Why have a name that I have to cut and paste because there is no letter ò on my keyboard? Quite simply other than in local politics it will not be used so instead of pleasing Maori it is likely to leave them feeling disrespected. Britomart could be Harbourside and Mt Eden could be Eden Junction. Worth pointing out that Britomart will still serve interregional trains so Waitemata really doesn’t suit at all – the name needs to be able to be used on maps of the national rail network not just Auckland’s suburban rail network – in light of the potential for the regional rail schemes, retaining Britomart doesn’t make any sense either. “Auckland Central” or “Central” works best I think. The “central” moniker is used in most European cities for their major train stations which often also link to various underground/ metro networks. Britomart works fine for interregional trains. Many US cities have Union or Grand Central as their main station. The designs of the inside of the stations look great. Interesting and dynamic. Can’t say the same for the outside appearances unfortunately, From the street they look like you could be walking into any office building. Big, bulky and bland seem to sum them up. Love the proposal to rename Mt Eden. The station is also moving so renaming makes a lot of sense. Strongly dislike the proposal to rename Britomart. It ruins all of the good work that has been done to give ‘downtown’ an identity and an identifier. Also dislike Horotiu as a new name for Aotea station. -Horotiu is useless for wayfinding. Wayfinding wasn’t a problem when we only had Britomart in the city centre as, in people’s mental maps, Britomart became the city centre station. Of course, now Britomart is the area around the station. Naming the station Horotiu also risks having a suburb of Hamilton and Auckland with the same name. -Waihorotiu would be a fantastic name for whichever light rail station on Queen Street which is not at a CRL station. Waihorotiu would be a great reflection of the lost natural and cultural heritage associated with that stream. -If we really want a Te Reo name and we really dislike Aotea for some reason, then why not just Pokapū? People already perceive this area as the centre of the city centre, why not reinforce that? Pokapū has the added benefit of teaching people an additional, useful word in Te Reo. Plus, it’s easy to pronounce and it’s still a short word, which is really useful on network maps. Mt Eden station isn’t moving, it’s just getting another set of platforms added to it. This raises an interesting question, would we name LRT stations differently from the adjacent heavy rail station? Are they not effectively just a second line serving the same location, the same interchange point? I think they should have the same name with the platforms differentiated by number and line names. That is an interesting point. I agree they should be named the same. In which case, do we need to consider the geographical area that both parts of the station sit on when naming the crl stations? Sorry, you are quite right about Mt Eden. I keep thinking that because the main platforms are the new ones, the whole station is moving. IMHO, we should be aligning the LRT stops with the CRL stops and we should be naming them the same. Why have lots of people started saying agnostic when they mean indifferent? Perhaps it’s just about repurposing words so they’re more useful. Happened to heaven and hell and plenty in between. It’ll happen to polyatheist eventually. As in “I’m a bit polyatheist about traffic engineers.” Or “No, he’ll never walk or cycle anywhere – he’s polyatheist about all types of exercise”. There’s a few extra letters in there but not many more than the Maori names (apologies for lack of macrons). What would you rename Parnell Station as? Since Parnell is famous for its eateries, maybe they should put a restaurant down there and call it after one of the famous eateries. I’m thinking Iguacu. Funny how we get the most comments on the least important things. If the service is crap or if the station is crap, the name of the station won’t matter. We’ve also failed to discuss the ads. Ad-free… any income from ads will be taken from the profits of selling us Stuff we don’t need. It’s not an efficient way to provide funding, and undermines the work of many people trying to reduce landfill waste, and to encourage better spending and eating habits. I wonder if we can maintain the appearance of the stations for a l reasonably long life of some of those designs. Will they be easily maintained. It is nice to have something aesthetically pleasing but it needs to be practical to maintain as well. Like many here, I agree that the names Britomart and Aotea should stay. But Maungawhau and Karanga-a-hape are brilliant new names. — Britomart can stay because it’s too confusing to get off at Waitemata station to get to the area now universally known as Britomart. This may be me being conservative. — It’s true that we’ll all just keep saying K Rd, but seeing Karanga-a-Hape on the signage will make it all more meaningful. Plus I look forward to telling people that I’ll be getting off the train at the Call of Hape. — Maungawhau is perfect for all the reasons already stated above, i.e. differentiates it from Mt Eden Village etc. Most people already associate Maungawhau with the Mt Eden area. Plus I look forward to telling people that I’ll be getting off the train at Corkwood Mountain. — I’m on the Western line, and I’m really looking forward to being on the train and experiencing the succession of the consecutive train stations Maungawhau, Karanga-a-Hape, Aotea, and Britomart. The whole story of New Zealand and of Auckland right there — volcanoes, Hape greeting the first canoes, the (long) white cloud, the arrival of Europeans, etc. — Some people seem to want to keep the station names Anglo-Saxon to benefit the tourists. But they forget that most tourists *love* the Maori aspect of New Zealand. Nobody outside of Wales can pronounce Llanfairpwll railway station, but that’s how you know you’re in Wales.